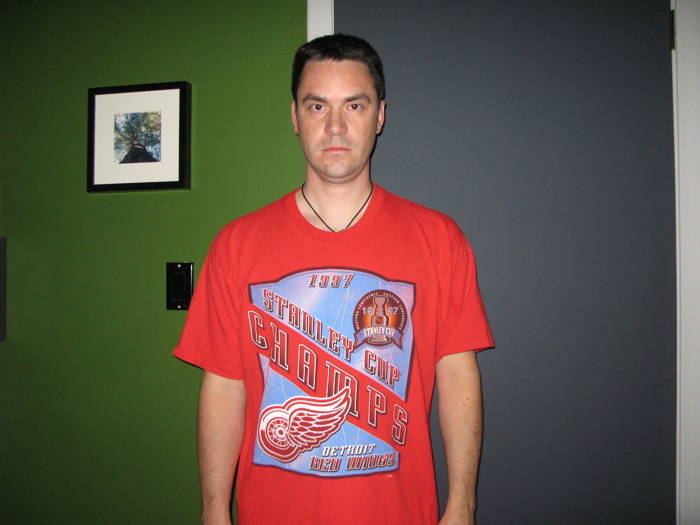 Detroit Red Wings 1997 Stanley Cup Champs shirt. Red, duh. I tried to wink in the picture, so my one eye looks smaller than the other.